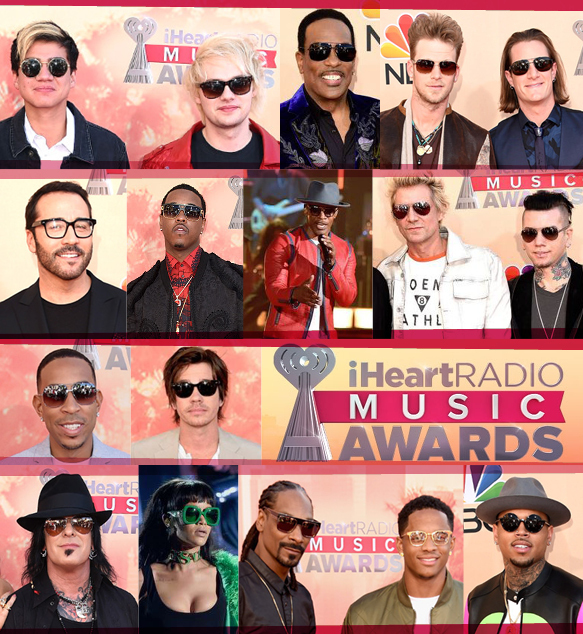 ‘Twas all about the tunes last night, as the top artists in the industry swarmed the Shrine Auditorium in Los Angeles for the iHeartRadio Music Awards! From stellar performances, to badass fashions, to exciting wins, the shindig was one for the record books. The oh-so-popular Taylor Swift—who was unfortunately not rocking our favorite accessory: eyewear, of course—swept the show, snagging honors for artist of the year, song of the year for “Shake It Off” and best lyrics for “Blank Space.” A huge congrats goes out to all the other lucky winners, as well! Even though Miss Swift wasn’t feelin’ spexy, lots of other celebs flaunted glasses and shades at the soiree. Varying aviator-inspired silhouettes ran the gamut, not to mention retro rounds, bold squares and classic wayfarers, all adorned with flash lenses, metallic accents and cool bridges. Take a looksie at the A-listers we spotted rocking frames below.